In a post last week, I discussed what I called The College Remedial Course Hoax, which was critical of the system of remedial courses at four-year colleges. In this post I would like to address remedial courses on the community college level. Community colleges face challenges that most four-year colleges do not face because most have open enrollment policies that allow anyone with a high school diploma to enter school. Open enrollment is a good thing, because it opens the opportunity for a college degree to many students who lack either the financial resources or academic credentials to enter a four-year college. This good thing, however, comes with many challenges. Faced with a large number of students who are not academically well-prepared for college instruction, community colleges have developed elaborate remediation programs designed to get students up to academic speed. Nationally, billions of dollars are spent on these programs, The courses are well-meaning and are developed and taught by people dedicated to helping students improve their ability to learn in a regular college classroom. And yet, just as in four-year colleges, these remedial or "developmental" courses, have proven to have had limited impact on student success in completing a degree. This does not mean that the courses in themselves do not improve student performance in reading, writing and mathematics. Certainly many of them do, but they also set students up for failure to complete a degree. Students can find themselves locked in a maze of several levels of remedial courses, all costing them money and none providing them with college credits or progress toward a degree. According to Thomas Bailey, writing for the Community College Research Center Brief, fewer than 50% of students who enroll in community college developmental courses ever finish these remedial courses let alone complete a degree. Bailey concludes that the "developmental function in community colleges is not working well." Bailey makes some sound recommendations for change in remedial programs at the community college level. Suggestions 1-3 come from Bailey, with some of my own thoughts. Suggestion 4 is mine. Rethink Assessment - A score on a placement test gives us very limited information on what a student needs to excel in college. There is a weak correlation between scores on these tests and student success. Bailey does not state it, but for me a focus on student needs would include an assessment of non-cognitive abilities including such things as student resilience, study habits, social skills and empathy, all of which have been shown to be important factors in student degree completion and all of which can be addressed in a college program (Sparkman, Maulding and Roberts, 2012). Placement in developmental courses should be based on a knowledge of the student gained through a combination of high school records, counseling sessions with community college learning experts and placement testing. In my ideal world, students would bring a portfolio of their high school work to the counseling session to demonstrate what they know and are able to do. Place More Students in College Level Courses with Learning Supports - Bailey's suggestion here is similar to what I wrote in the previous post. For many, if not most, students, the best way to improve reading and writing skills is in a regular college classroom with an embedded tutor and regularly scheduled group tutoring sessions led by the tutor outside of class. In addition, these early college level courses would be taught by professors who embrace an instructional design that incorporates skill improvement through sound pedagogical approaches. Explicitly Work to Minimize Remediation Time - For those community college students whose skills are not at a level to allow them to be successful even in a supported college-level course, Bailey suggests speeding up the remedial process and doing away with the layers of remediation so that these students move into credit bearing courses as quickly as possible. Intensive summer programs would be one way to accomplish this. Provide Instructional Coaches for Professors - Many K-12 institutions use literacy coaches and math coaches as a form of embedded professional development for teachers. 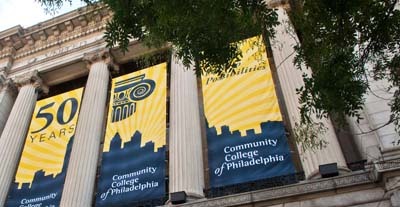 A similar model could be used at the community college level. Essentially, a literacy instruction or math instruction expert would be teamed with the content expert professor to help the professor design and deliver instruction in a way that helps students achieve the learning objectives. This would be a more effective way to use staff who are currently providing instruction in de-contextualized reading, writing or math improvement classes. Students would be working to earn credit in a freshman level course, say Psychology 101, and at the same time receiving instruction designed to help them meet the reading and writing requirements of the course. Some would take issue with the whole idea of developmental instruction in any college setting, whether in non-credit or credit bearing courses. Some might argue that the issue is in the high school and that high school graduates should, by definition, be ready for college. This is the genesis of the whole standards movement culminating in the Common Core. However, history would show us that raising standards does not, in and of itself, raise performance. Improved student performance in high school will require major societal shifts in income inequity, segregation and commitment to funding schools. Until that happens, a more enlightened approach to developmental education on the college level will remain a necessity. What is a "Just-Right" Class Size in Public Schools? This post is adapted from my book, A Parent's Guide to Public Education in the 21st Century, now available in print and Kindle versions. Class size matters. Class size matters because it is an issue that impacts the lives of the children in the classroom, the work load of the teacher and the school budget. Teachers and their representatives argue for smaller class sizes, while school boards try to balance parent and teacher desires for small classes, with the demands of keeping the budget under control. Apparently, private schools think class size matters. They advertise small class size in an effort to attract students to their schools. Intuitively, most parents and teachers think class size matters, but from a research standpoint the impact of class size has been harder to pin down. At the heart of the argument is the question, “Do the academic gains achieved through smaller class sizes justify the cost of hiring more teachers to accommodate those lower class sizes?” Some education reformers have even suggested that children would be better off if schools would identify their best teachers and then pay those teachers more to accept more students in their classes. A research study done in Tennessee is considered the gold standard of class size studies because of its rigorous experimental design. This so-called STAR study(1995) found that students in small classes learned more than students in larger classes and were more likely to complete school and attend college, but those small classes were so small that the STAR study simply rekindled the cost/benefit debate. · Class size is an important determinant of student outcomes, and one that can be directly determined by policy. · The evidence suggests that increasing class size will harm not only children’s test scores in the short run, but also their long-run human capital formation. Money saved today by increasing class sizes will result in more substantial social and educational costs in the future. · The payoff from class-size reduction is greater for low-income and minority children, while any increases in class size will likely be most harmful to these populations. · Policymakers should carefully weigh the efficacy of class-size policy against other potential uses of funds. While lower class size has a demonstrable cost, it may prove the more cost-effective policy overall (NEPC, 2014). So, class size does matter and it matters especially for low-income and minority children and it is likely to be worth the taxpayers’ money to attempt to keep class sizes down. Research does not help us much with what the ideal class sizes should be. The STAR study targeted class sizes of 13-17 children, which may be out of the financial reach of many districts. As a school district administrator several years ago, I was tasked with developing target ranges for class sizes for a suburban school district. After reading the available research and consulting with the budget office, I came up with the following recommendations based on students in an affluent community. If I were making these recommendations for a school district with a high concentration of students living at or near the poverty line the guidelines would be different. Courses designed for students with special needs or for students who need focused instruction on certain skills should be smaller, normally about 8-12 students. I would recommend that school leaders, teachers and parents look at these recommendations as broad guidelines and not set in stone. A variation of a student or two from these numbers does not mean that students are necessarily being disadvantaged, but large deviations may be of concern. To be effective, smaller class sizes require that teachers use less "stand and deliver" type of instruction. Teachers can take advantage of having fewer students in the class by having more small group work, more one-to-one conferences and more targeted attention to the individual needs of students. For more information on class size issues, please see Leonie Haimson's wonderful website Class Size Matters. This week the New York Times ran an editorial entitled Guess Who’s Taking Remedial Classes? In the editorial the Times cites a study by the “think tank” Education Reform Now that shows that many students from more affluent suburban schools are taking remedial courses in college and claiming that this study is proof that high schools are not doing their job. Diane Ravitch responded by identifying Education Reform Now as an arm of the pro-reform Democrats for Education Reform and chastised the Times for taking their report as gospel. “Jersey Jazzman” Mark Weber eviscerated the report in a thorough analysis on his blog in an article I highly recommend you read. Weber asks all the right questions of this report and of the Times editorial, but I would like to take my own look at the implications of college remedial courses, especially as they relate to four-year colleges. These courses, while initially well-meaning, are a fraud perpetrated on the college student. The vast majority of four-year colleges accept students based on their qualifications, usually in the form of an SAT or ACT score, a high school transcript, and perhaps a college essay and some other factors like community service or demonstrated leadership ability. 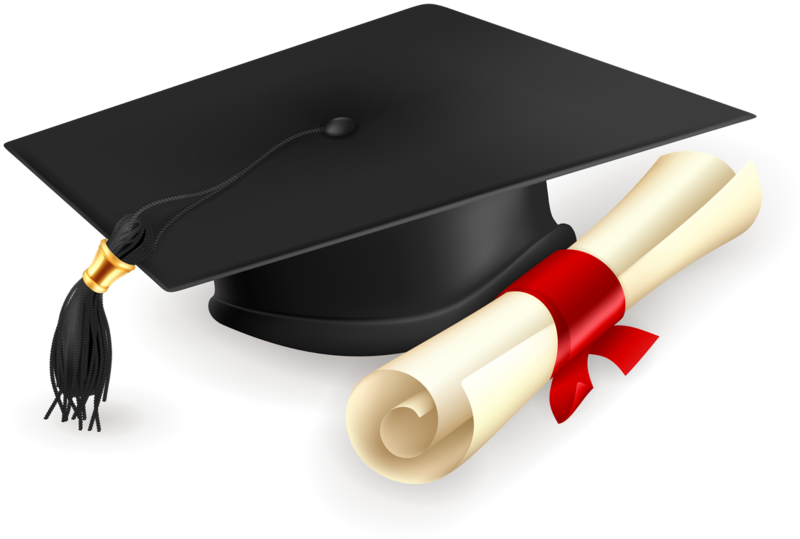 Some students who are accepted to college may not meet the academic standards of the institution, but other mitigating factors, including athletic ability, having a parent who attended the institution or having the ability to pay the tuition without financial aid may get them admitted. When a four-year college admits a student, they also should be making a commitment to ensuring that student graduates in four or five years. With the growing number of students attending college since the 1960s, colleges found that not all students had the skills in reading, writing and mathematics that professors were expecting when they entered the classroom. The colleges responded by creating non-college credit remedial courses that students were forced to take, almost always because of some score they received on a college “placement” test. And so a cottage industry of remedial, non-credit courses was created on campuses across the country, often taught by adjunct faculty of dubious qualifications and most often completely separated from the for-credit courses that other students were taking. The results were inevitable. Students began collecting huge tuition debt paying for courses for which they did not receive credit. Often these students had to take these remedial courses over and over again because they could not pass the exit exam, which was frequently another standardized test. The students never got the chance to feel like they were regular college students. Within a year or two these students, frustrated with their lack of progress, dropped out of school burdened with student loan debt and without a degree or good job prospects. Colleges, certainly the four-year colleges, I am addressing here, should not have and did not have to go the remedial course route. The schools could have and should have known that reading and writing courses that are removed from the context of a real course have very limited impact. (I will not address math remedial courses here because it is outside my expertise, but I believe the same principles would hold.) Rather than place students in courses designed for writing improvement or reading improvement, the colleges would have been much better off placing these students in the regular classroom and then providing them with the support they needed to succeed in these courses. That support can take many forms. The first form it should take is in professional development for college faculty that would help them make their courses more student friendly. Remedial courses were put in place, in part, because professors complained that students did not have the necessary pre-requisite knowledge for their credit bearing course, but often times professors did not have the requisite instructional skills to scaffold student learning; skills that can be learned and used in the classroom to great effect for all learners. Other supports that have proven to be effective include embedded tutors, upper level undergraduates who attend classes with freshman students and who provide group study sessions and learning assistance to the students, writing centers and subject specific tutoring. When I started out as a freshman in college in 1965, I was not required to take a placement test. I was placed in the credit bearing College Composition 101 like every other freshman in my school. After one week in the class, it was clear to me that I was not yet a college level writer. I got a C- on my first paper. Many of my classmates did much worse. My college did not have a writing center in those days, so I buckled down, sought the help of my more grammatically and rhetorically minded friends and squeezed out a B by the end of the semester. I think any student accepted to a four-year institution should be afforded the same opportunity. Today, I would add that the college writing lab should be a regular part of instruction in College Composition I and that an embedded tutor in the class would be very helpful in providing struggling students with the support they need to perform well in the class. For students who struggle with reading comprehension and vocabulary, a similar model could and should be followed. Instead of some decontextualized, non-credit bearing “reading improvement” course, students should be enrolled in a typical college freshman course with a heavy reading load like Psychology 101. Again, the professor would be trained in methods like Pre-Reading Guides, Selective Reading Guides, Anticipation Guides and vocabulary development activities to help students with the daunting reading load. Embedded tutors would be available in the classroom to review readings and assist students with understanding difficult concepts at weekly meetings. The writing center would be available to help students with papers for the course. Professional development for freshman faculty, embedded tutoring and writing centers are three effective ways to help students become college level readers and writers. It is not so much that we should expect our high school graduates to be “college ready”, but that we should expect our colleges to be student ready. Four-year colleges need to recognize that very few students are truly college ready when they walk in the door, unless we consider college ready to be ready and willing to learn in a college environment with the help that the college has the duty to provide. The existence of college remedial courses is not so much about the quality of the high school, as the New York Times article posits, but a combination of more and more students seeking a college education and colleges coming up with the wrong solution to a perceived problem. Charging students admitted to four year colleges for non-credit bearing remedial courses is fraud. Not only is it fraud, but it is ineffective. More effective approaches are readily available, if these colleges have the will to make them work. Students have the responsibility to work hard, attend class, seek help and meet the expectations professors lay down for the course. In fact, these abilities have been shown to be much more important to completing college than a score on an SAT or placement test. Two-year community colleges with open enrollment have a different student population and different challenges. I will address what should happen in these schools in a subsequent post. Mark Twain famously said, "Write what you know." Very sound advice for a would be writer. When we are teaching children to write, however, giving them this advice can be both scary and unhelpful. Years ago, after an unsuccessful conference with a young writer, I wrote this poem that I think captures the problem. Because I have nothing to say. "Write what you know", says the teacher. I guess I know nothing today! One "gap" referred to in the title is of course the achievement gap and Roessing makes a persuasive argument that since memoir writing delves into a student's personal memories, all students come to the reading and writing lessons with sufficient background knowledge to be successful. But memoir writing is also a way bridge other gaps including the gap between reading fiction and non-fiction and the gap between reading something and writing something. According to Roessing, "memoir elevates the topics on which writing is based and, in so doing, elevates writing." For those concerned with where memoir fits into the Common Core State Standards, Roessing, as she suggests in the book's title, says that "through writing memoir, writers discover their own passions and convictions, leading them to choose more effective argument topics" and by reading memoir, students learn to "support their claims with logical and relevant evidence." The heart of the book is a thoughtful and thorough plan for introducing students to memoir, gathering memories, reading memoirs, drafting diverse memoirs and analyzing and publishing memoirs. Roessing provides teachers with a guide to scaffolding the reading and writing experience for students to ensure student success. One key element of this scaffold is helping students to read memoir in a special way, to read memoir like a writer of memoir. In other words, sample memoirs provided in the book, work as mentor texts for students' growing understanding of the genre. 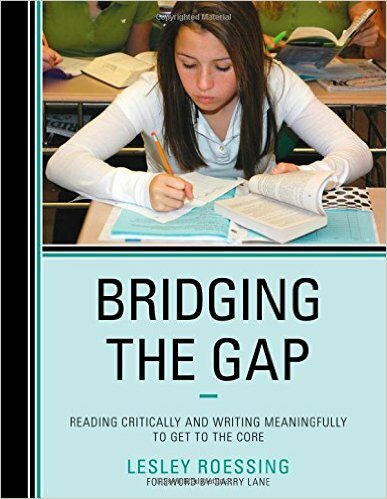 Roessing wants the students to, in Frank Smith's term, "read like a writer" in order to bridge the gap between their reading and their own writing. The instructional design suggested in the book, reflects Roessing's thorough understanding of best practice and the book provides clear direction and suggested resources for each step in the design. I think classroom teachers would find the design helpful, easy to follow. Appendices at the end of the book provide suggestions for read alouds and mentor texts, suggestions for student reading and a series of black line masters to support the various lessons in the book. Teachers could use the book as a guide for a complete unit on memoir, or select key lessons from the book to enhance their own writing units. Busy classroom teachers need practical suggestions for writing instruction that are rooted in sound instructional practice and which promise to be engaging and successful with diverse students. With Bridging the Gap, Lesley Roessing has more than filled this need. I will give the last words in this review to author and writing teacher extraordinaire, Barry Lane, who wrote the introduction to this book. When students start to write their stories, when they start to value their experience, something happens that cannot be measured by any test or quantitative assessment...I call it passion, and that is the one thing that will create a lifelong writer.